We all enjoy and deserve a good night’s sleep, but to get that, you need the right environment. A key part of that is a set of good sheets. Here are our top picks for every preferance. You’re probably wondering just how you can figure out the best type of sheets. There are two key things to take into consideration—the fabric used and thread count. Fabric is the material like wool, cotton, silk, flannel, and so forth. Each of them feels a little different, as you’ll have noticed with the clothes you wear. Cotton sheets are the most common type out there, as they’re considered good for heat regulation as well as easy laundry care. Not all cotton is the same though. The longer the cotton fibers, the more soft and durable the fabric becomes. That’s why sheets like Egyptian cotton and Percale are so poplar. Thread count relates to the number of parallel threads in a square inch of fabric. A higher thread count typically means it’s softer and more durable. For you, that means a thread count of 200 is fine but a thread count of 400 is notably softer. There’s a catch though. Some manufacturers advertise a thread count far higher than that and sometimes into the thousands. How can that many threads fit into a single inch? Well, they can’t. Some manufacturers count not just each thread but each fiber that makes up each thread. A single thread can be four fibers twisted together with one company calling it one thread while another calls it four. Suddenly, buying the highest thread count isn’t so easy after all. Fortunately, we’ve done your research for you. The sheets here are all good quality and sure to make your bed feel so much cosier. Here are the best sheets for a great night’s sleep. Percale cotton is known for its crispness and durability. That might not sound instantly comfortable but it continues to soften after each wash, taking the edge off its initial stiffness. 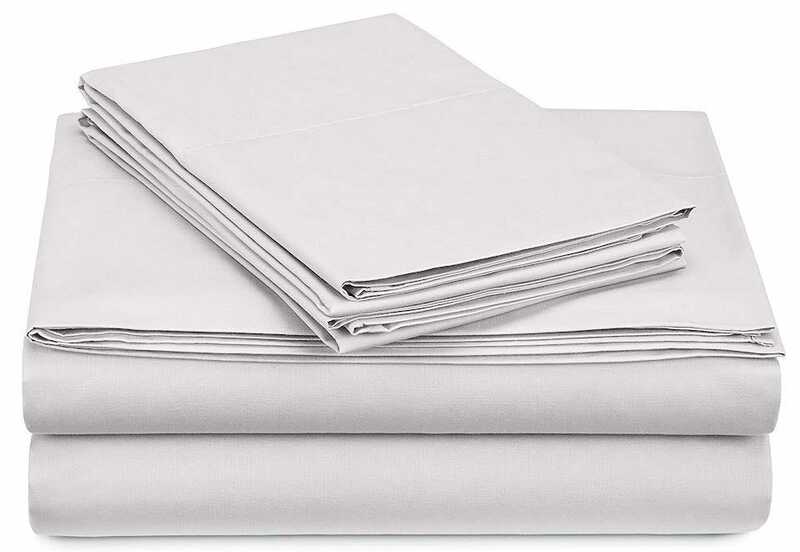 The Pinzon 300-Thread-Count Percale Sheet Set is a fine example of percale. 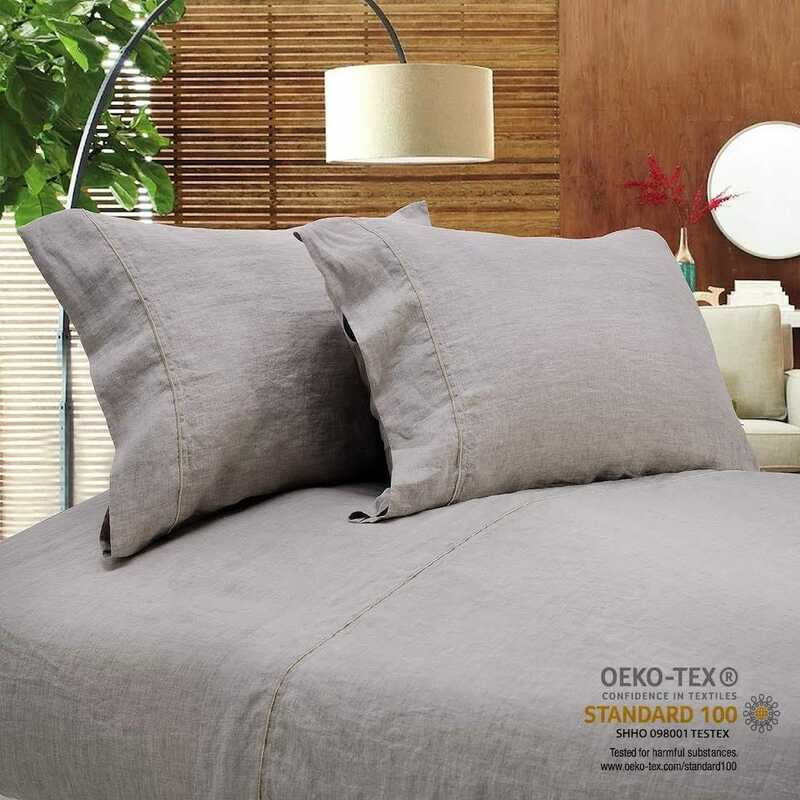 Its 300 thread count weave is breathable and cool to the touch, but also comfy and snug when it counts too. It’s a classy experience, much like what you would expect from a high end hotel. As it’s made from 100% cotton, moisture is wicked away from you during the night too, ensuring a more delightful night of rest. Sateen sheets are typically a great choice for allergy sufferers. They’re cotton sheets that are woven from combed, carded, or long-fiber cotton threads that are then mercerized (soaked in lye and then in acid) so that the fibers are strengthened and made more durable. Because of that process, they resist mildew well which makes them ideal for those who are prone to sniff or sneeze. 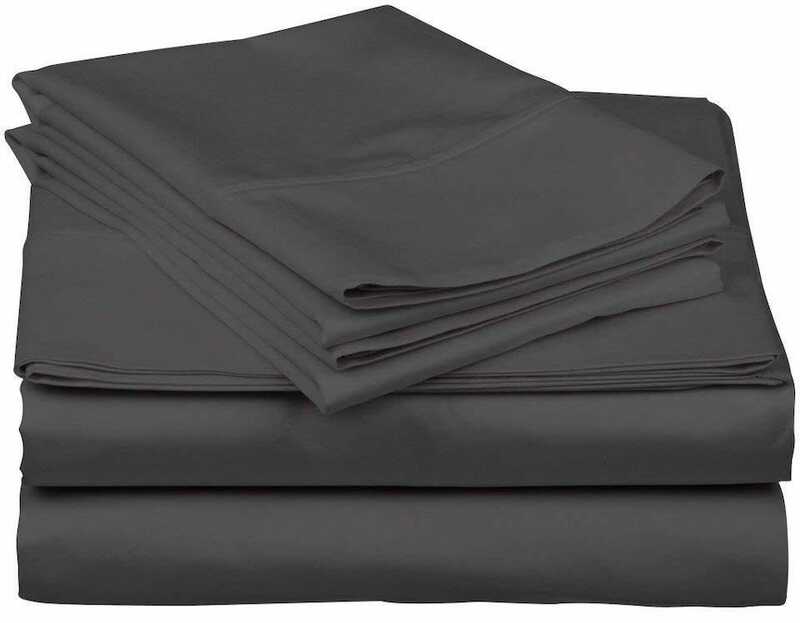 California Design Den’s 600-Thread sheets are a suitably great example of sateen sheets. Their high thread count means they’re breathable and suitable for any season, plus they get softer the more you wash them. A fitted sheet, they also have an unique smart tag that helps you position fitted sheets hassle-free by telling you where the head and foot is. It’s hard to fault these. Velvet Flannel is a specific type of flannel that is distinctively soft to the touch and exceptionally warm during the cold months. Unlike traditional cotton sheets, flannel is measured by the number of ounces it takes to make up a square yard. In the case of the Pinzon Signature Heavyweight Velvet sheets, they have a weight of 190 grams per square meter which offers plenty of durability and softness. That softness is enhanced by the velvet component of these sheets. They won’t be for everyone given how warm they can feel, but they’re remarkably cozy if you do prefer a snug sheet. You’ll rarely have to worry about ironing them either too, given how thick they are. 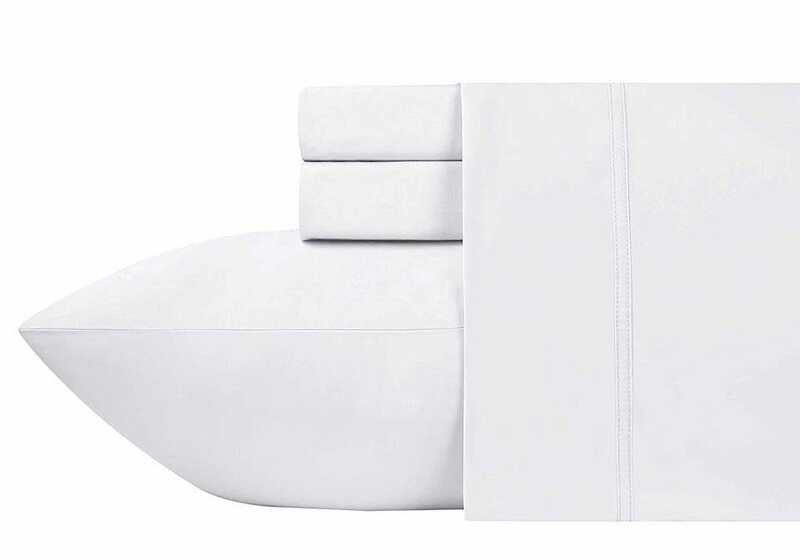 Made from 100% pure linen, Simple & Opulence’s 100% Linen Sheet Set is a little pricey compared to others here, but very much worth the investment. Made from Flax fibers, linen promises fast moisture absorption, good heat dissipation and the best breathability out of any sheets in its price range. 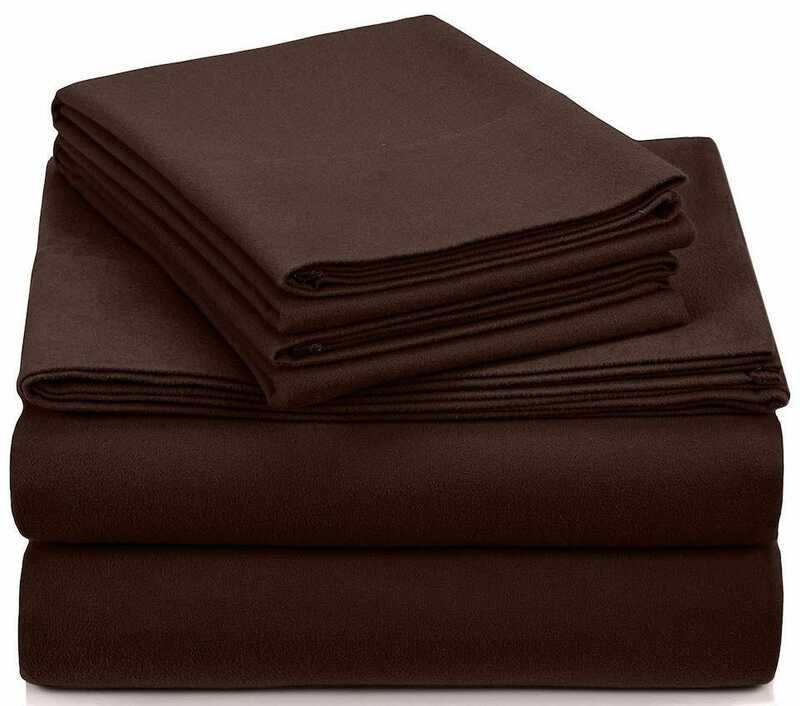 Effectively, these are sheets that are warm in winter and cool in the summer. Remarkably soft to the touch, they still promise to be suitably durable despite seeming a little thin. Unlike other forms of fabric, they offer a light massaging effect because of the microscopic breaks throughout the fabric. It might sound like magic but that’s what you’re paying for. It’s a distinct form of texture and one you’ll soon be addicted to. Egyptian cotton is woven from a specific cotton plant that’s native to Peru, the West Indies, and grown in certain American regions. The plant produces long, thin fibers that don’t pill which means when turned into Egyptian cotton sheets, you don’t have to worry about replacing them for decades if they’re properly cared for. Due to Egyptian cotton sheets producing very little lint, the price tag on these Thread Spread True Luxury 100% Egyptian Cotton 1000 Thread Count Sheets immediately sounds like a bargain. We’ll skim over just what the “proper” thread count is but there’s no denying that these are very comfortable sheets. They’re extremely breathable and keep the heat in winter and the cool in the summer. They’re an excellent investment.